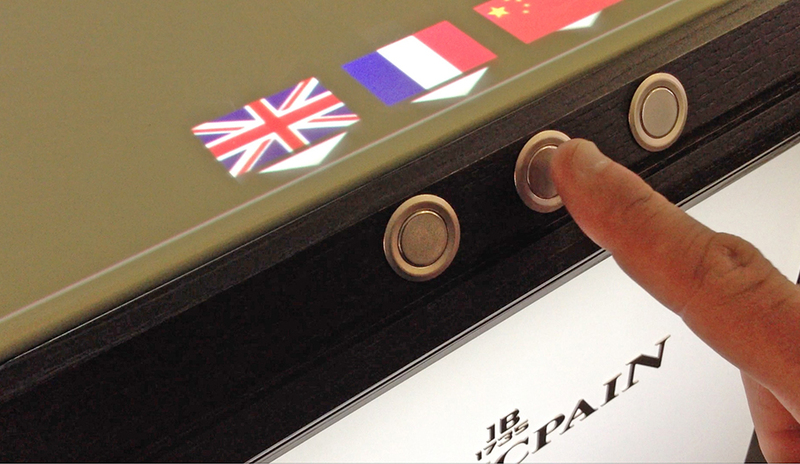 Interactive display cases with a choice of language and an exceptional movement that turns and stops according to the points of interest. 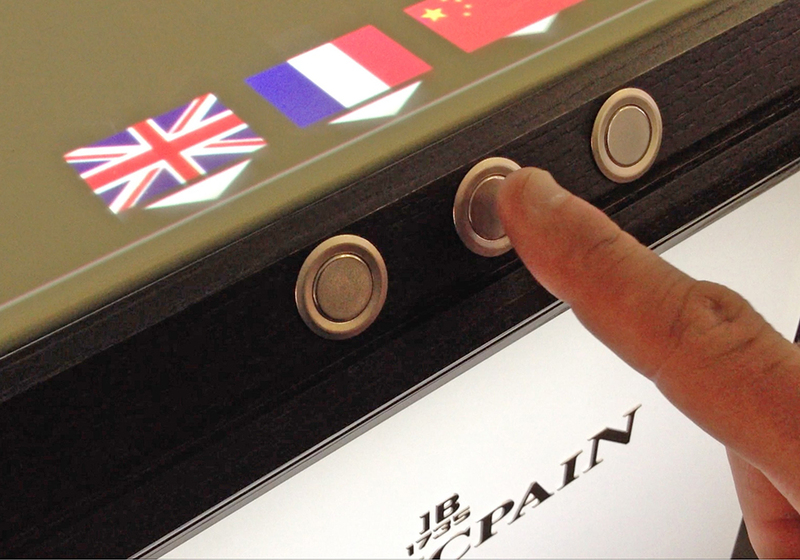 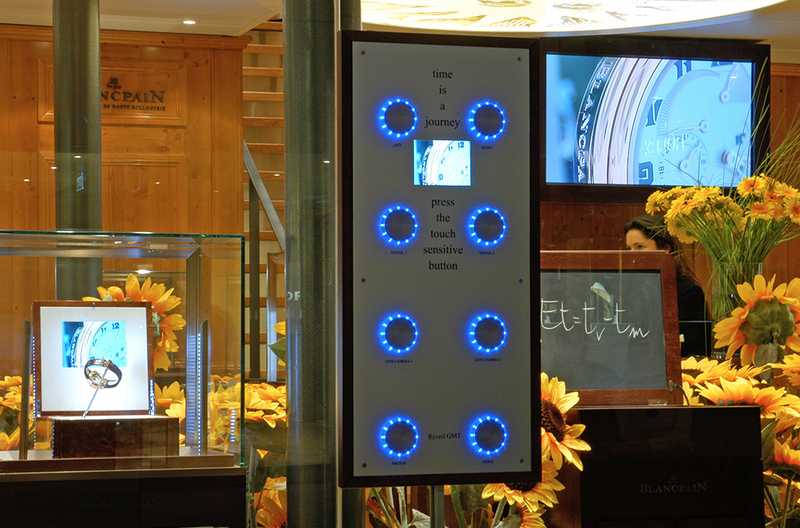 Blancpain and its interactive display cases with a choice of language at Baselworld 2016. 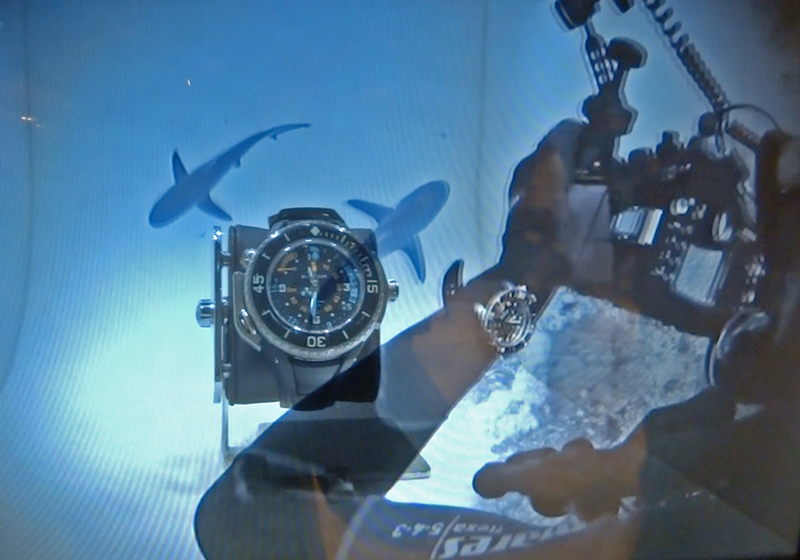 Projected animation for Blancpain at Baselworld. 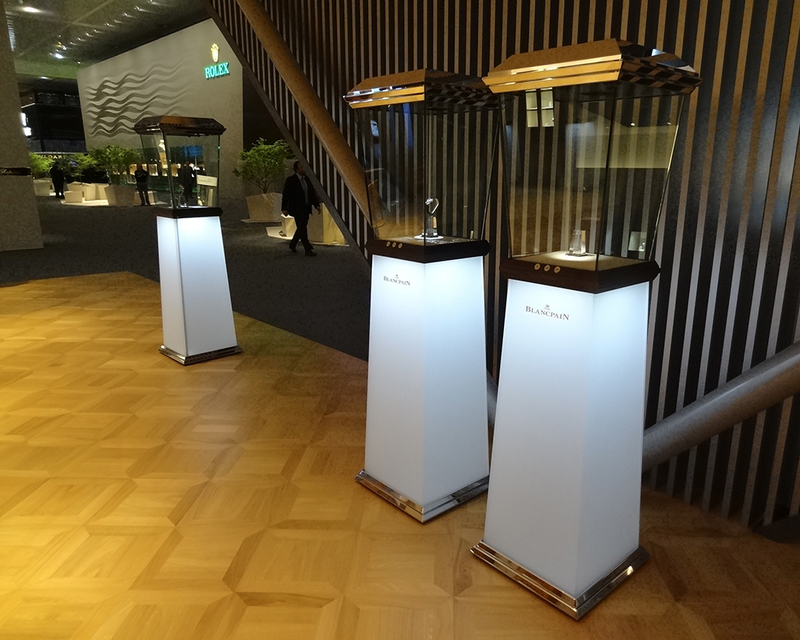 Projection animée chez Blancpain à Baselworld. 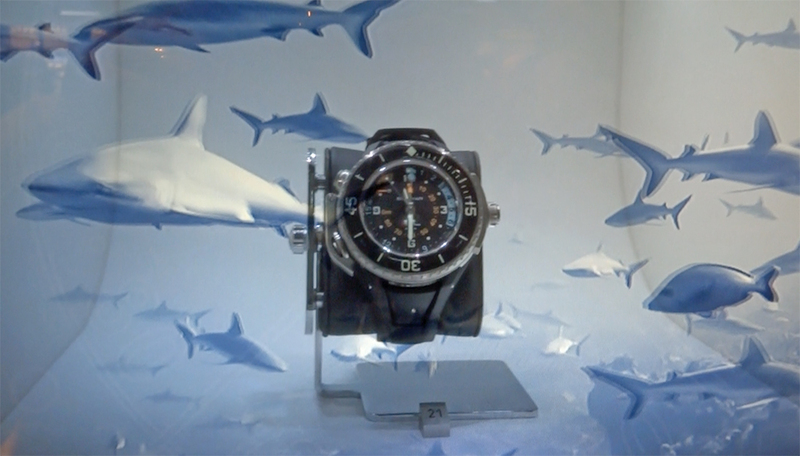 Blancpain nage avec les requins. 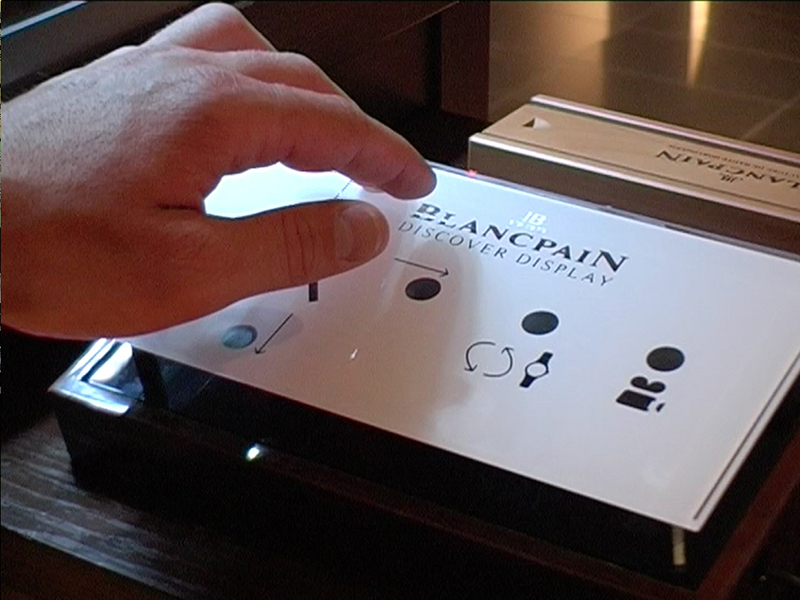 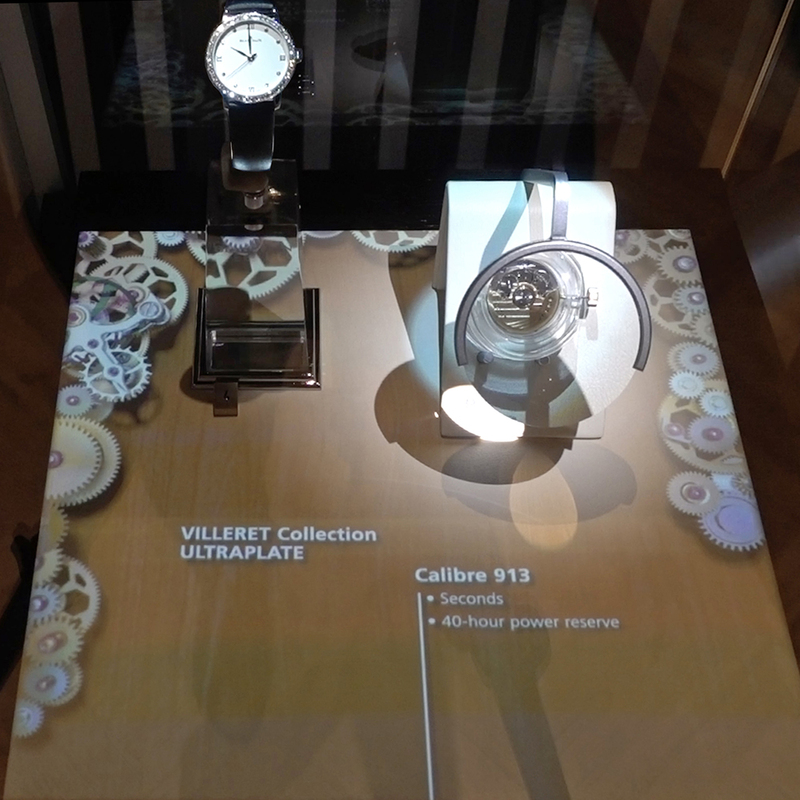 Interactive projected animation for Blancpain at Baselworld. 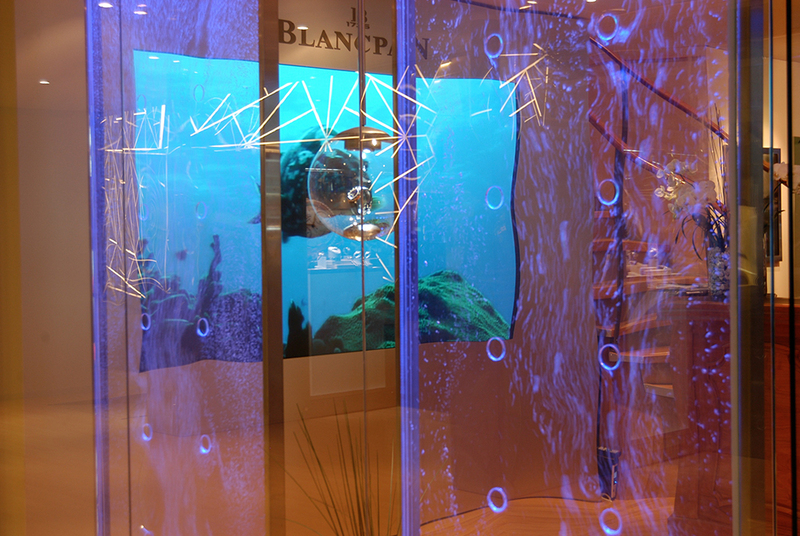 Projection interactive animée chez Blancpain à Baselworld. 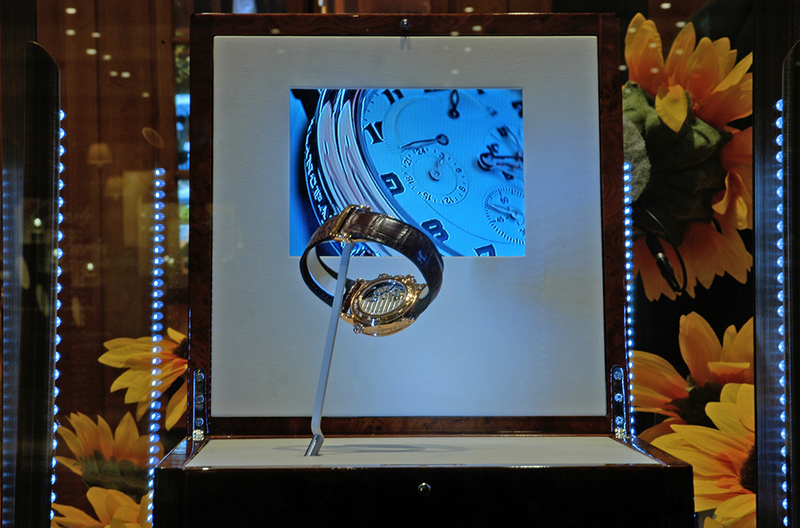 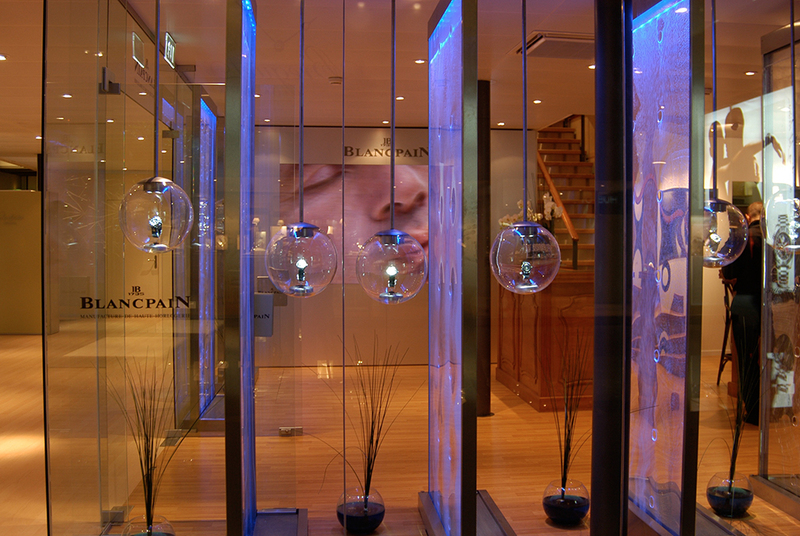 Boutique Blancpain with the discover display. 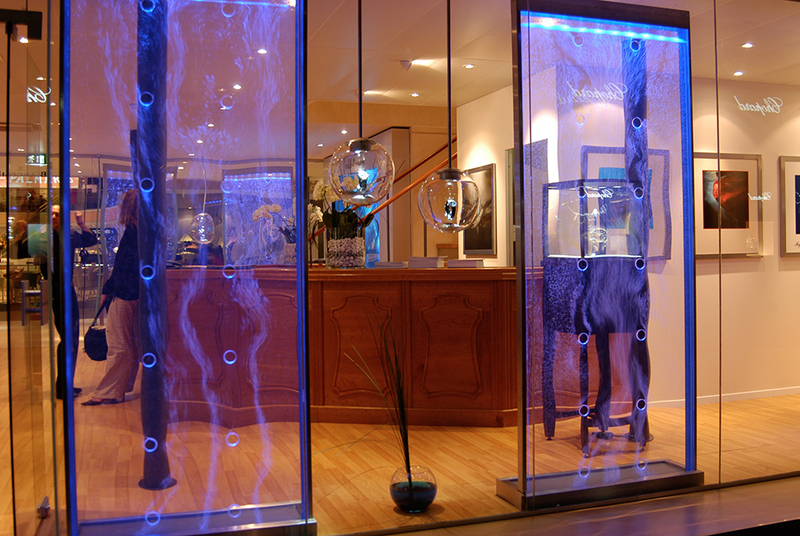 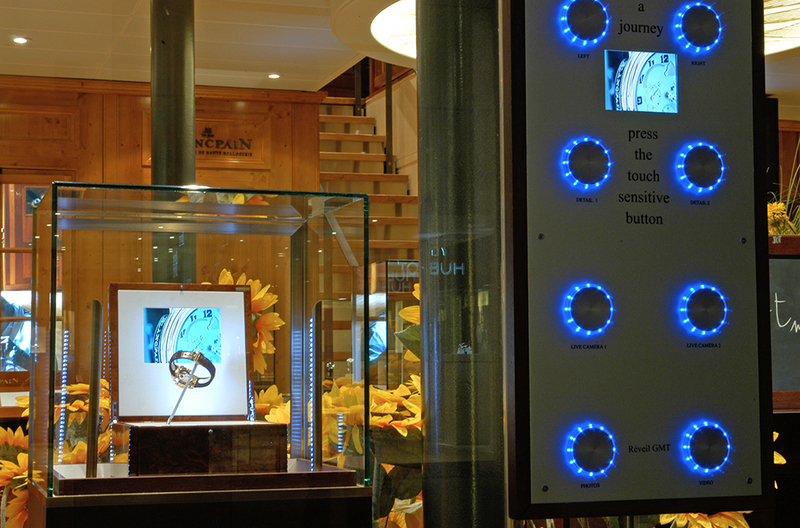 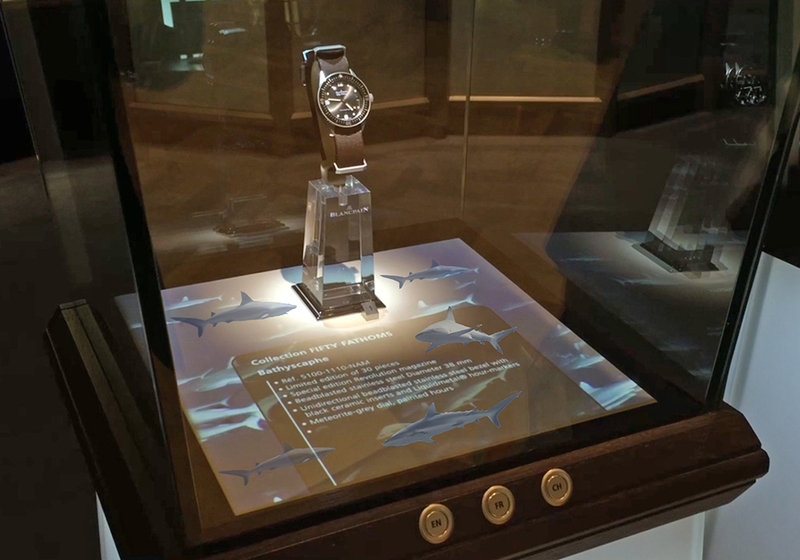 Boutique Blancpain utilisant le discover display. 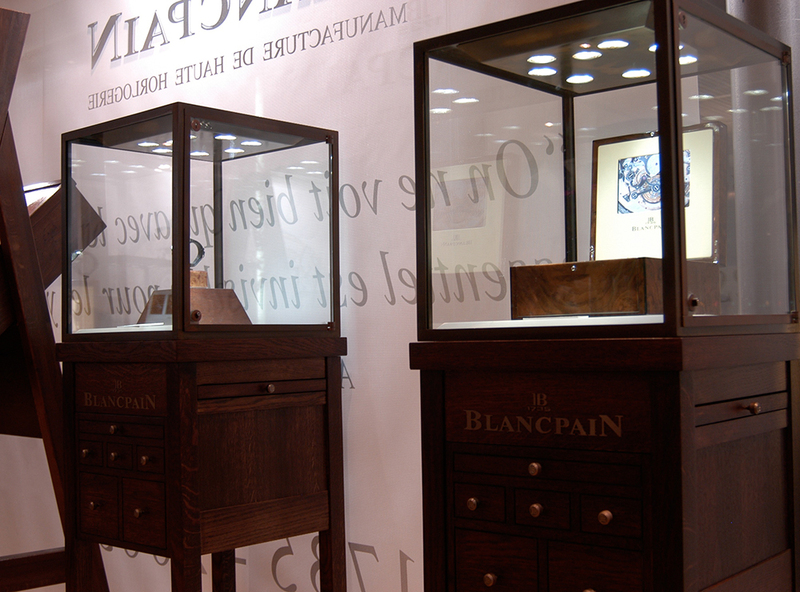 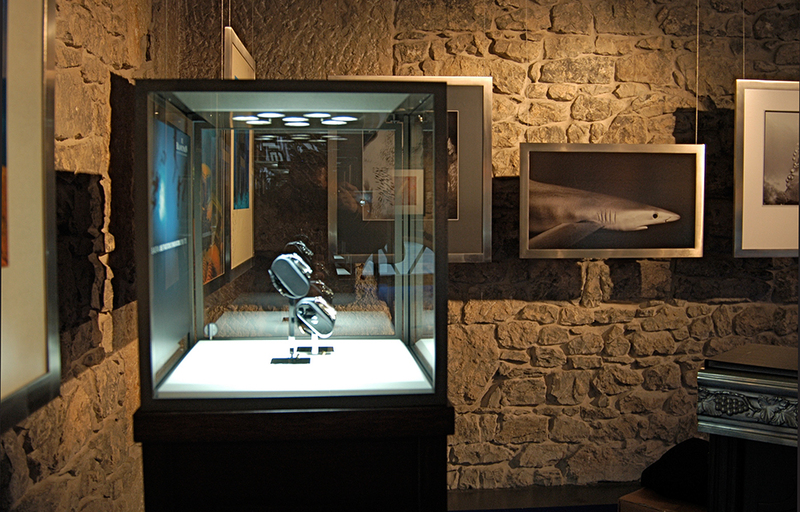 Blancpain during exhibitions with the discover display. 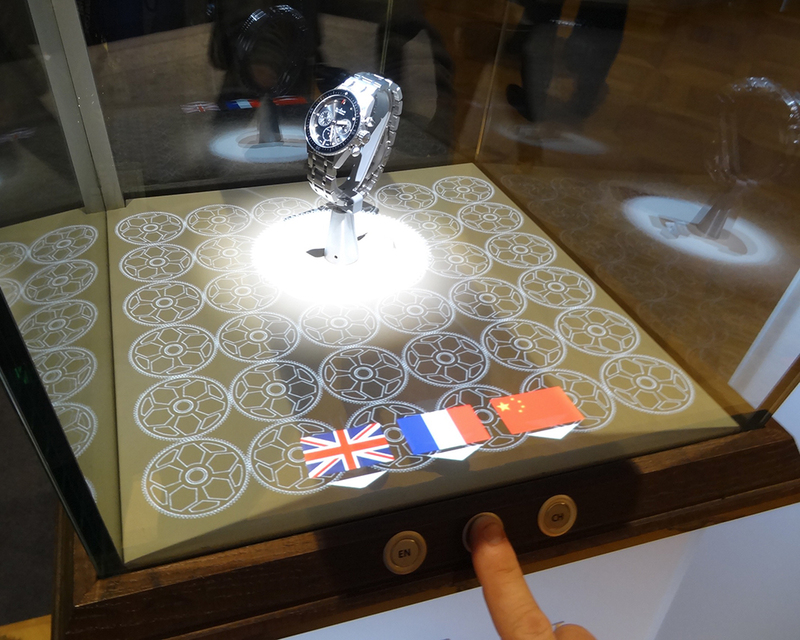 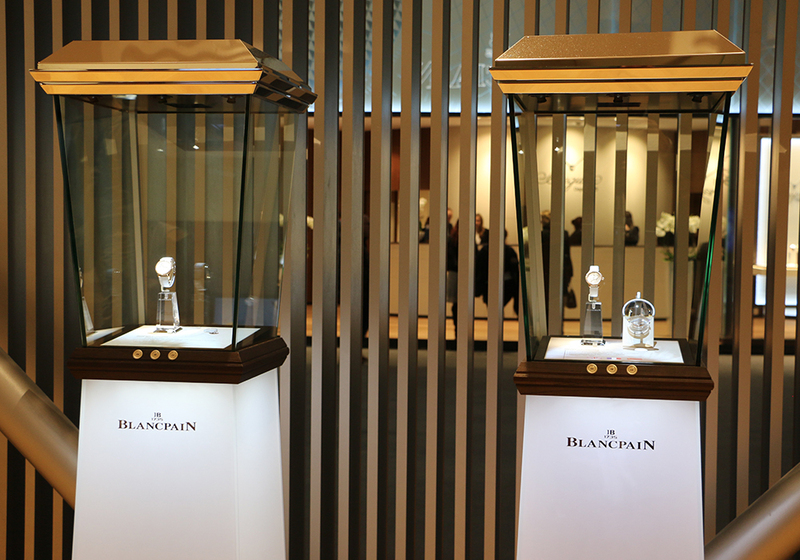 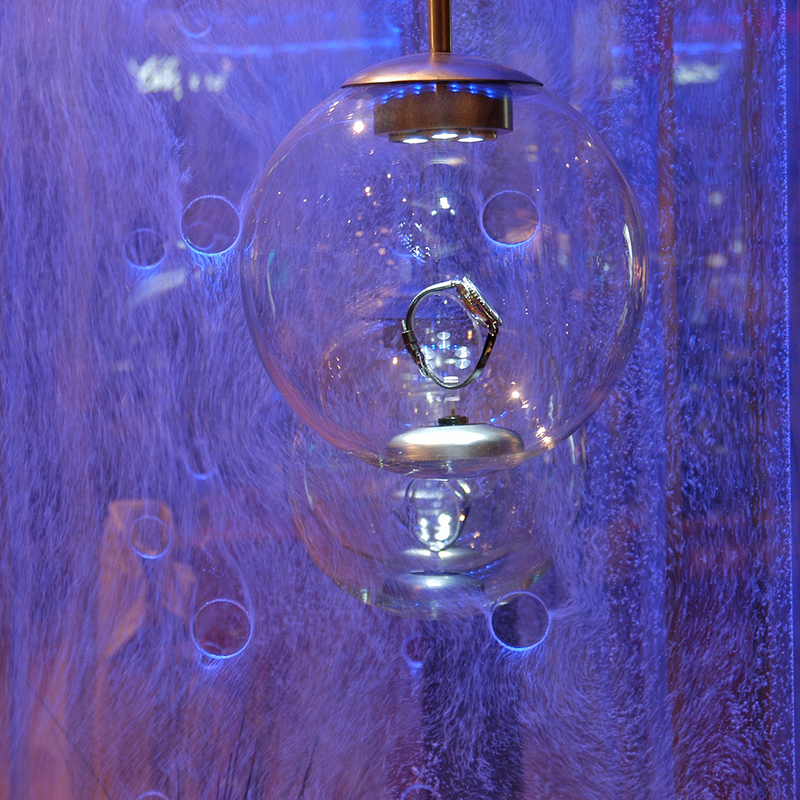 Blancpain pendant des expositions utilisant le discover display. 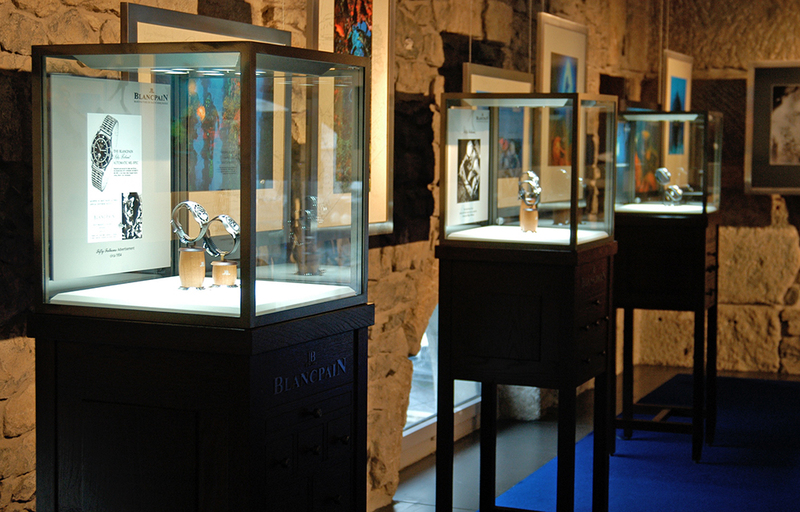 Blancpain exhibition at la cité de Temps, Geneva. 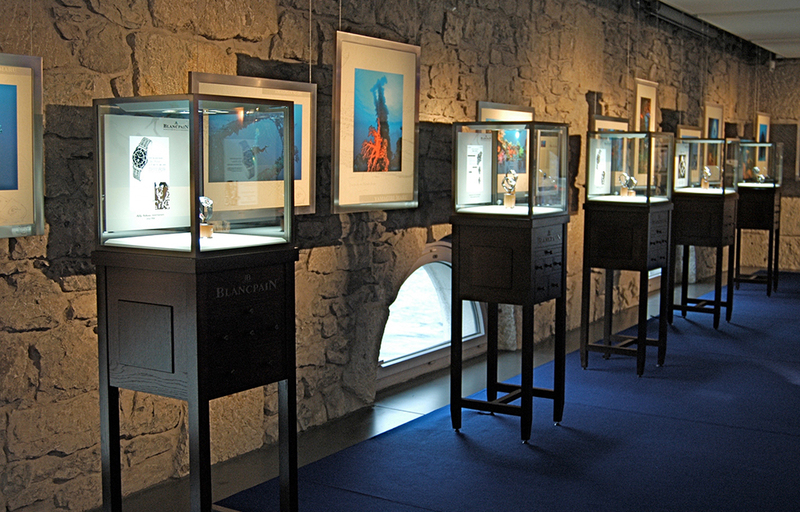 Exposition Blancpain à la cité de Temps, Genève. 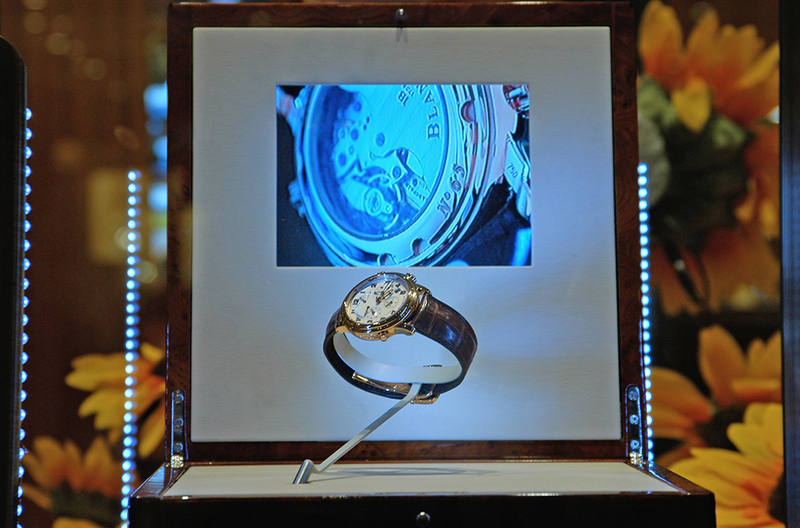 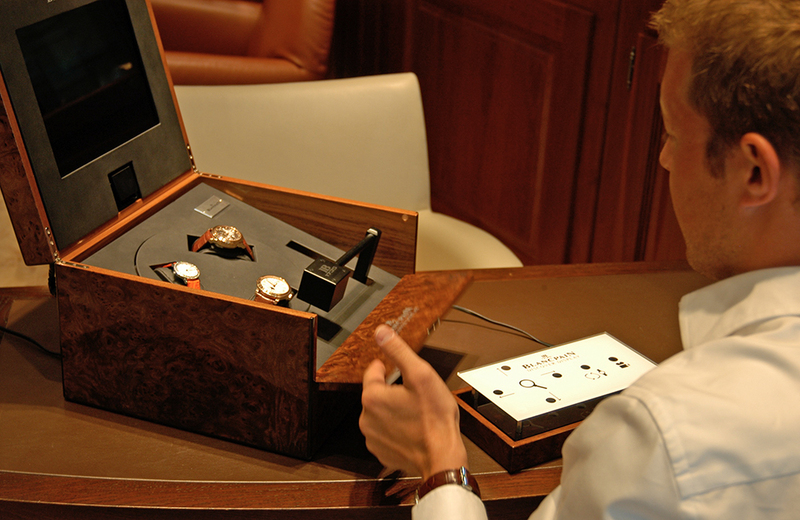 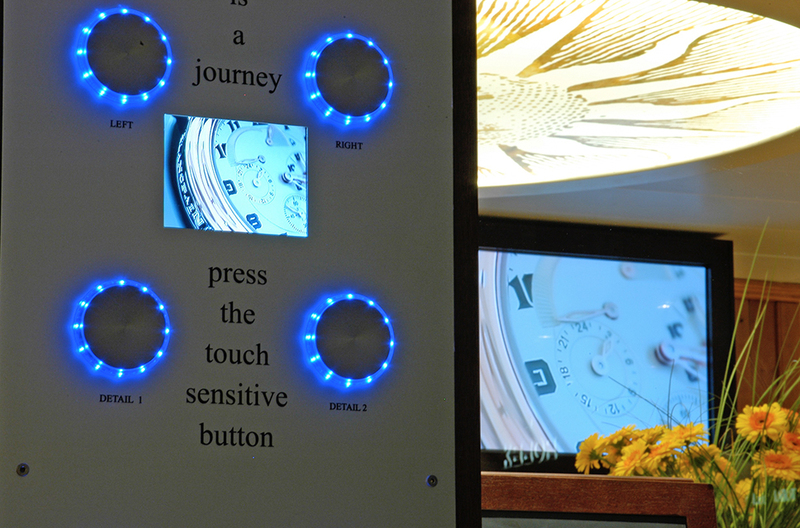 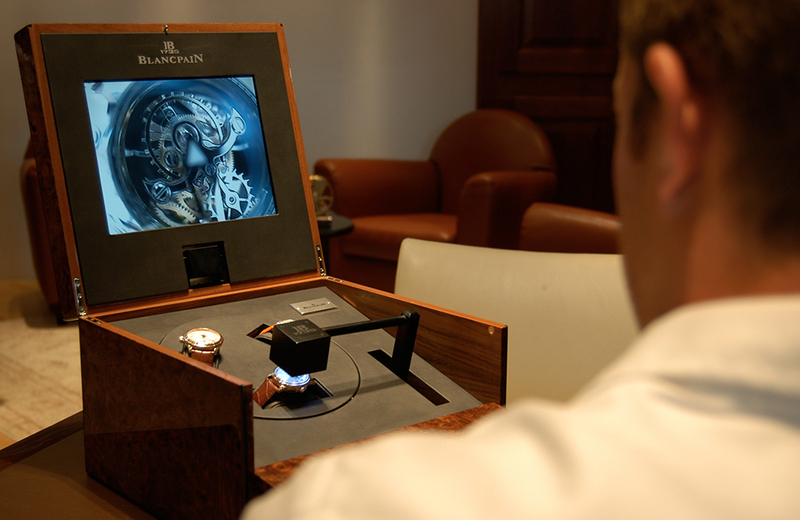 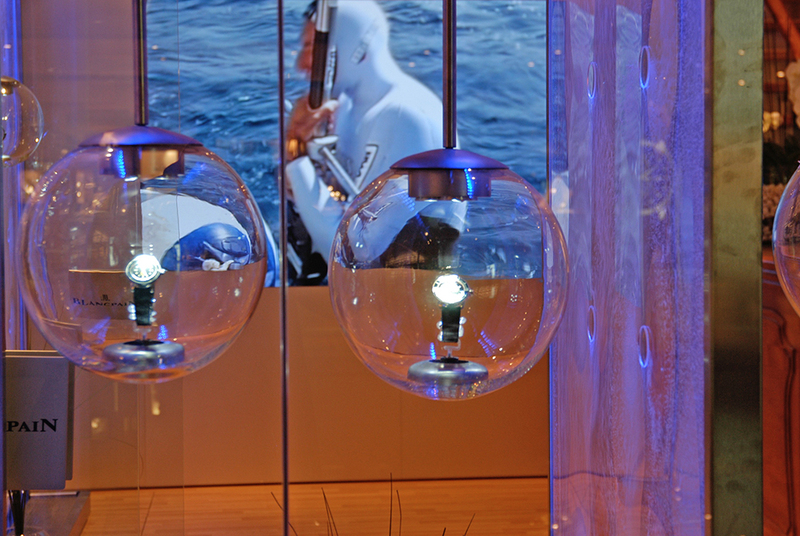 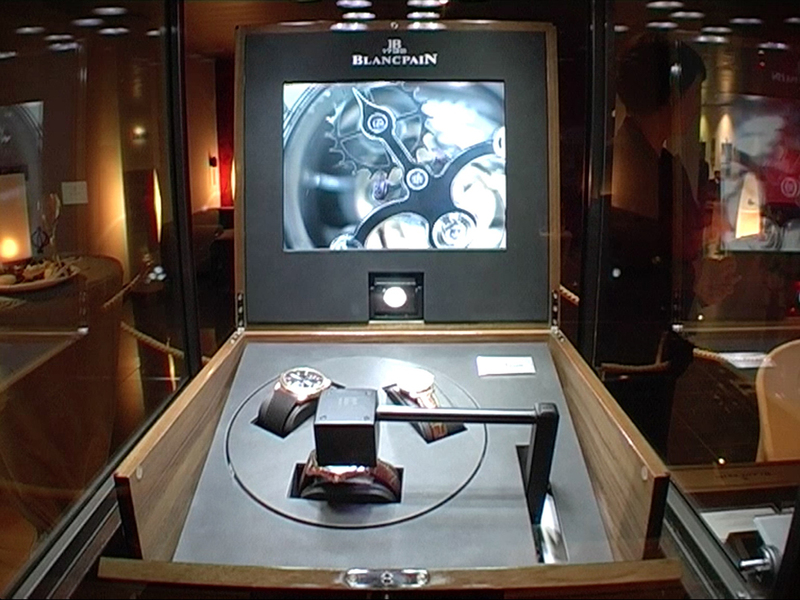 Blancpain at Baselworld 2006 with the first live camera system using sensitive touch buttons. 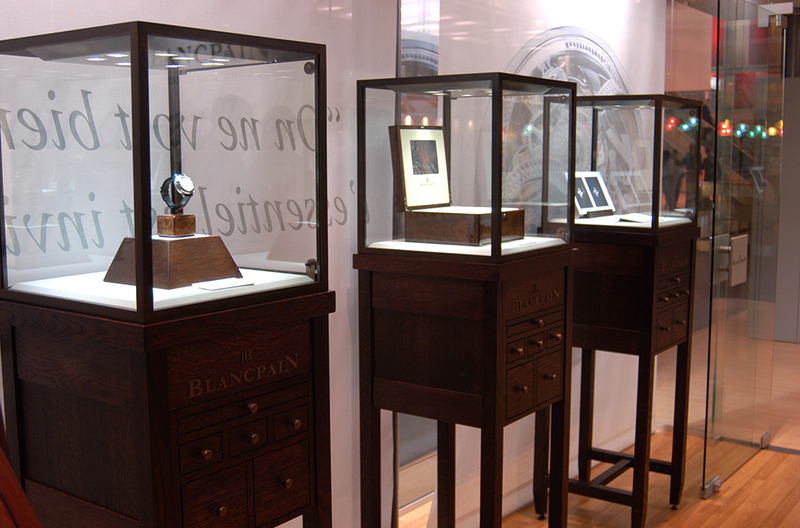 Blancpain à Baselworld 2006 avec la première caméra direct utilisant des boutons tactiles.